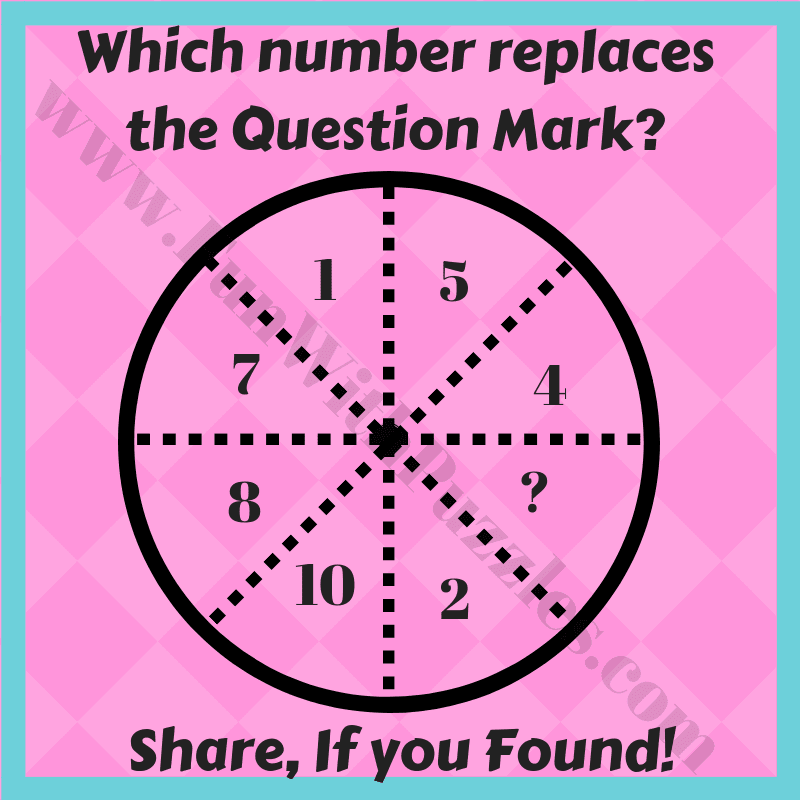 Mathematical and Logical Puzzles are very much fun to solve. 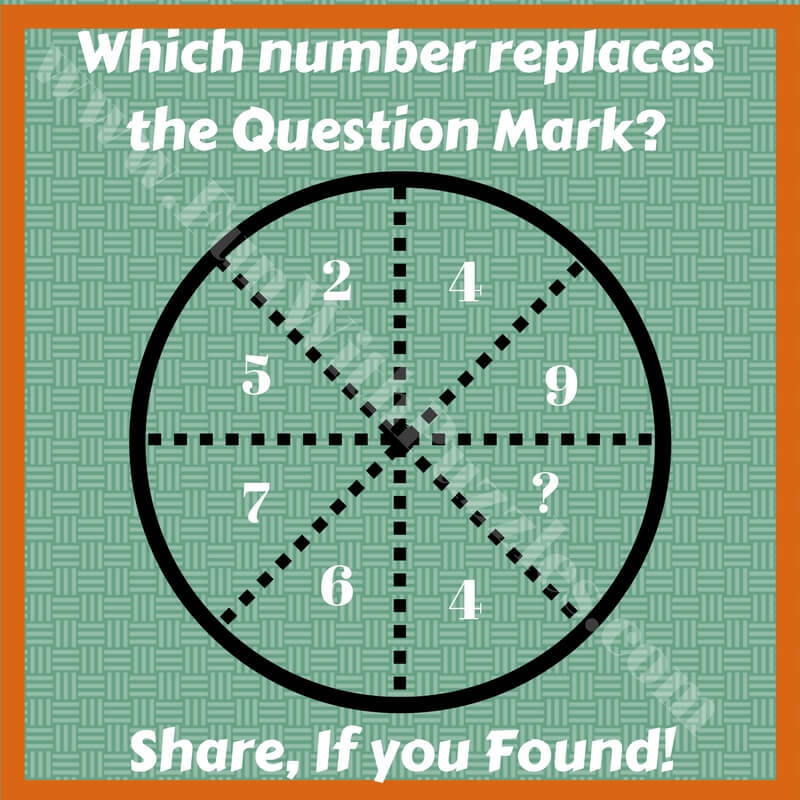 In these kinds of puzzles, there will be some mathematical relationship between the numbers which follows a certain logical pattern. One has to find out this logical pattern and then solve it for the missing number. 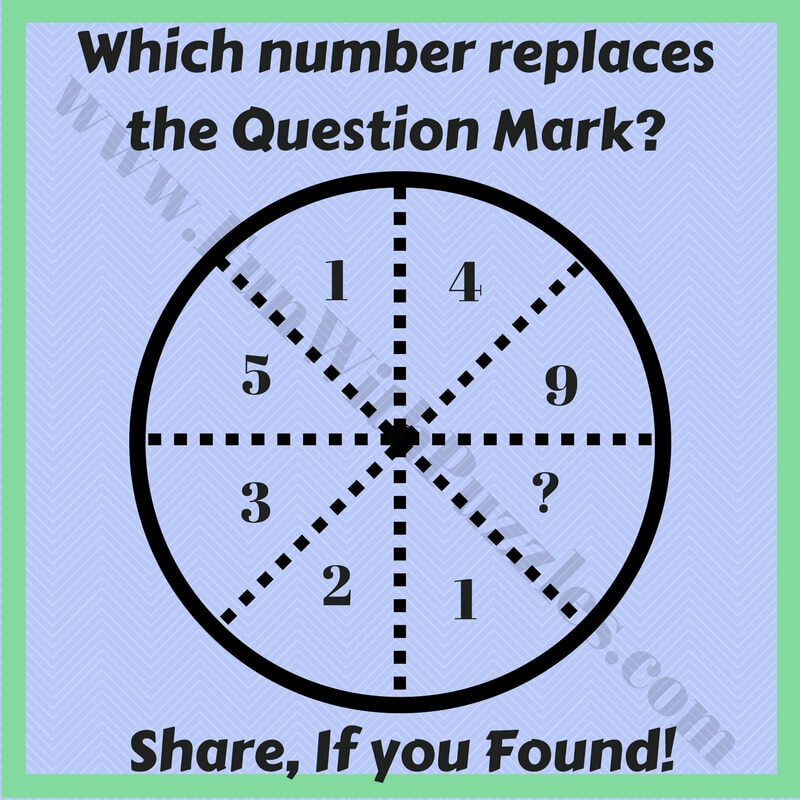 Circle Puzzles are one type of Mathematical and Logical Puzzles. 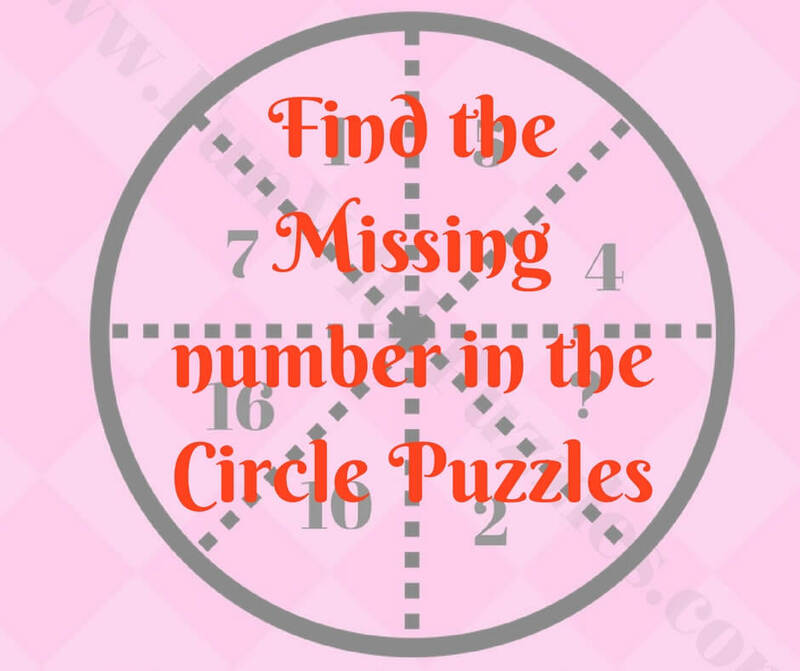 In these puzzles, the circle is divided into different segments. Each of the segment contains some numbers. There is some relationship between these numbers. 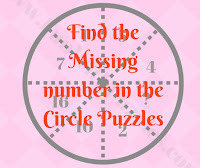 One has to find these relations between the numbers in these circle segment and has to find the missing number in one of the segment. These puzzles are arranged in the order of its difficulty, with the first one being the easiest one and the last one being the toughest one among the given set of puzzles. Few puzzles in the set are of the medium level of difficulty. Let us see how many of these puzzles you can solve? 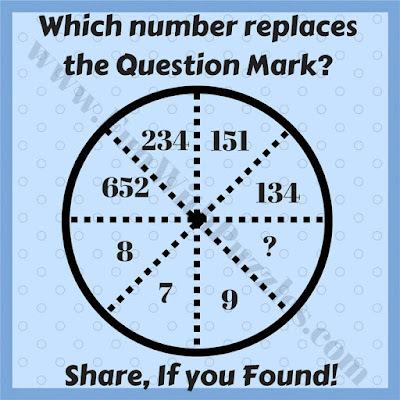 Let us start with the easiest circle puzzle. This is the warm-up puzzle and even kids should be able to solve it very quickly. 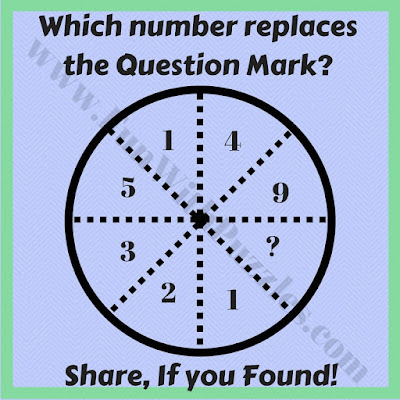 Next one is again not very tough and most of the people should be able to solve this Circle puzzle quickly. 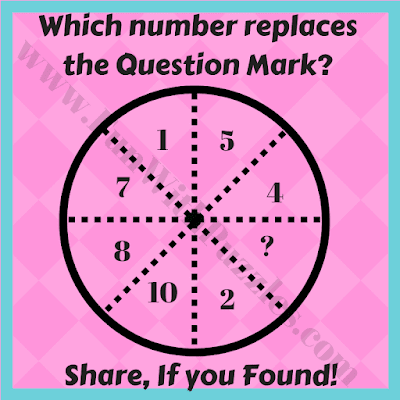 After all, these easy and quick Circle puzzles here is the next puzzle question which may require some thinking. However again this is not a very tough puzzle. Let us see how quickly you can solve this puzzle? After all these easy puzzles, here come some challenges. 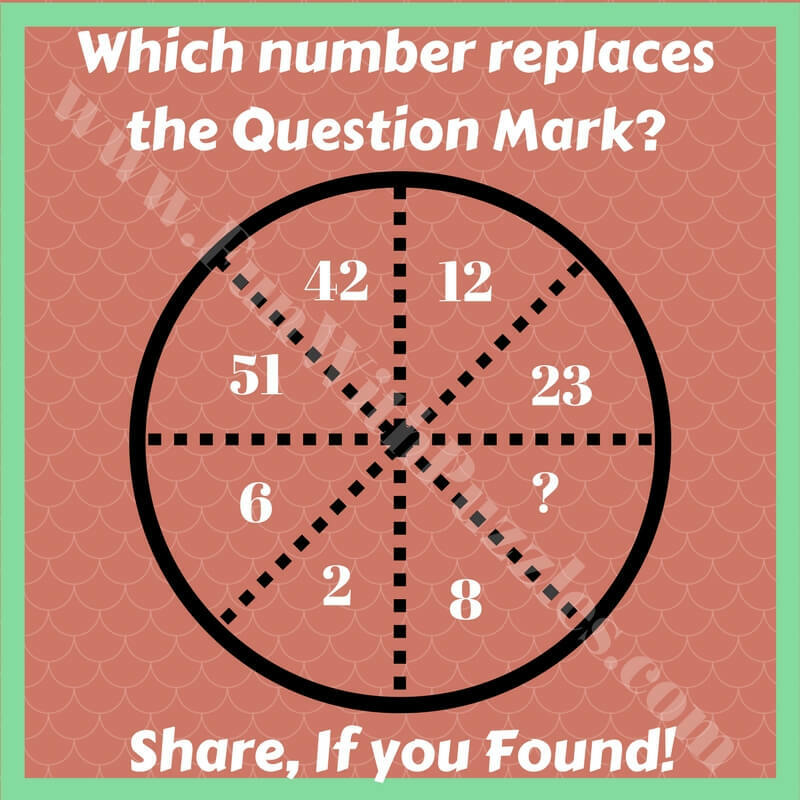 However, if you are good in Mathematics and Logic then this puzzle also should not be very tough for you, but this puzzle could require some out of box thinking to solve it. You are a genius if you can solve this puzzle quickly. I'm stumped on the one in your title picture (https://4.bp.blogspot.com/-eTbI7SWlYEM/WRWgNqstXAI/AAAAAAABOLQ/1tfNcDEsR_0KnnQE5ONZTQf8hFXfdlpuACLcB/s1600/find-the-missing-number-in-the-circle-puzzle-questions.jpg). it is the same as the first one in this list but with 16 instead of 8. What is the solution? Thumbnail images or title pictures are just or presentation purpose to show the content of the page. You can ignore the thumbnails and solve the actual puzzles in the post. Please do let me know if something is not clear?